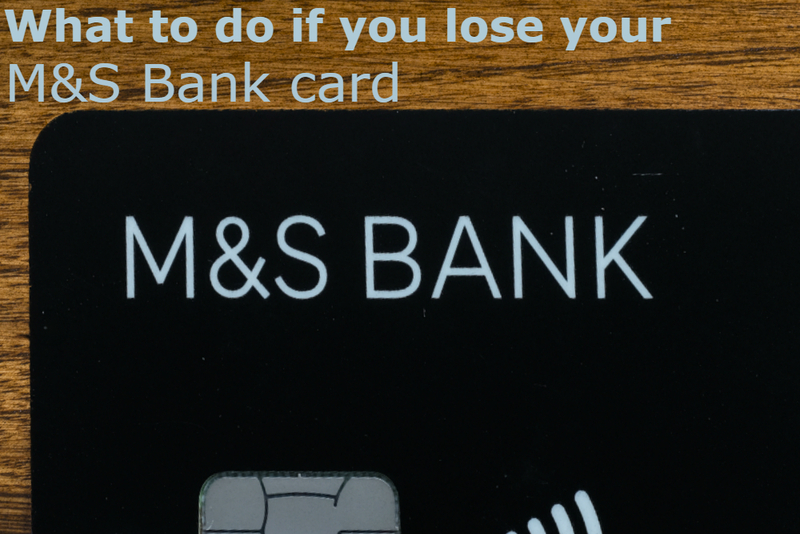 If your Marks and Spencer credit card is lost you can follow the guide below to find out what you need to do to cancel the card and get a replacement. If your Marks and Spencer credit card has been lost or stolen you will need to call the Marks and Spencer bank team on 0844 826 8015. You will need to inform the team that your credit card has been lost or stolen, you will be asked whether it was lost or stolen in the UK or abroad. They will then put a hold on your card/account to stop other people from using it, you will have to go through your recent transactions with the Marks and Spencer bank team to ensure that nobody has already committed fraud using your card before you have been able to put the hold on it. If someone other than you has been using your card since it has been lost or stolen Marks and Spencer will contact the police to inform them of this and they will take the transactions off your account so you will not have to pay the charges. You will then be sent a replacement Marks and Spencer credit card in the mail within 1 week. You won’t be able to use the card whilst waiting for the new one as your account will be on hold until you activate the new card. To activate your new card you will need internet banking if you are already using internet banking you can activate it straight away but if you do not have an internet banking you will need to create an account. Once you have an account you need to go to the internet banking website or app, select M&S credit card from the Accounts area and then you should see ‘activate my credit card’ on the left hand side, follow the instructions on screen and your card will be activated.